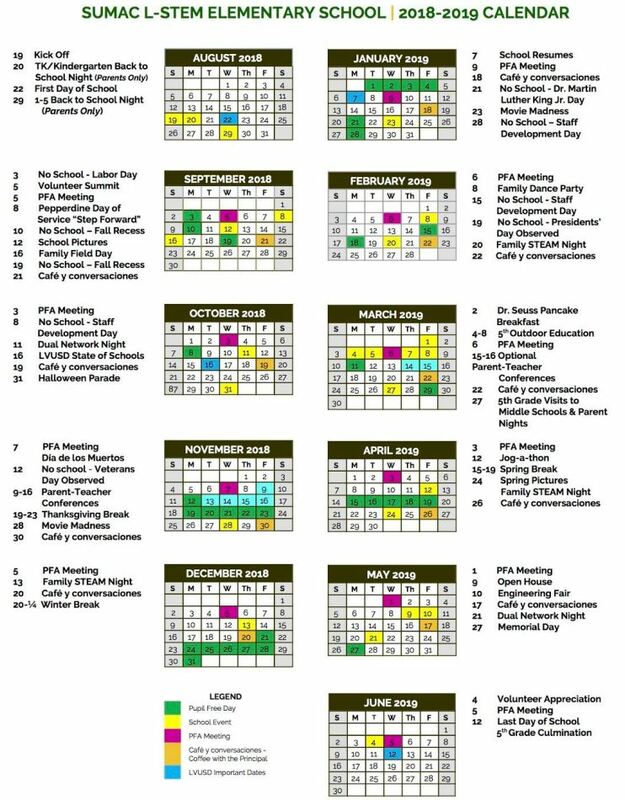 FOR THE MOST UP-TO-DATE AND COMPLETE CALENDAR, PLUS INTEGRATION WITH YOUR PERSONAL CALENDAR, PLEASE VISIT SUMAC'S PARENTSQUARE WEBSITE. Fri 2/15 • TURN IN BOX TOPS! Tue 2/19: We're all tied together "WEAR A TIE"
Wed 2/20: Team Kindness "WEAR A SPORTS SHIRT"
Thu 2/21: Peace, Love and Togetherness "WEAR TIE-DYE"
Fri 2/22: Crazy for Kindness "WEAR CRAZY SOCKS"
Calendar event dates subject to change.